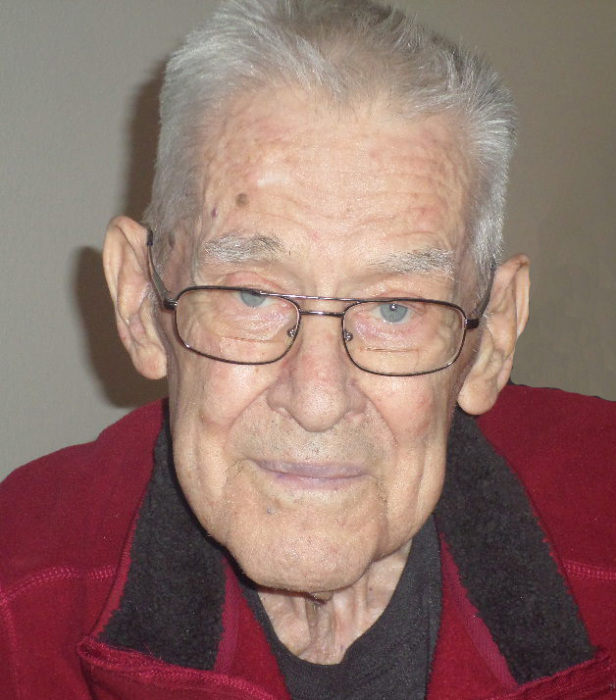 Walter “Wally” W. Kobs, 97, of West Bend passed away peacefully on Friday, March 22, 2019 at Cedar Community in West Bend. He was born on November 26, 1921 to the late Maximilian “Max” and Alice (nee Boekelberg) Kobs in Milwaukee WI. Wally grew up in Milwaukee, and by the age of 14 he had lost both parents, then moved to West Allis to live with his foster family. He graduated from West Allis Central High School. 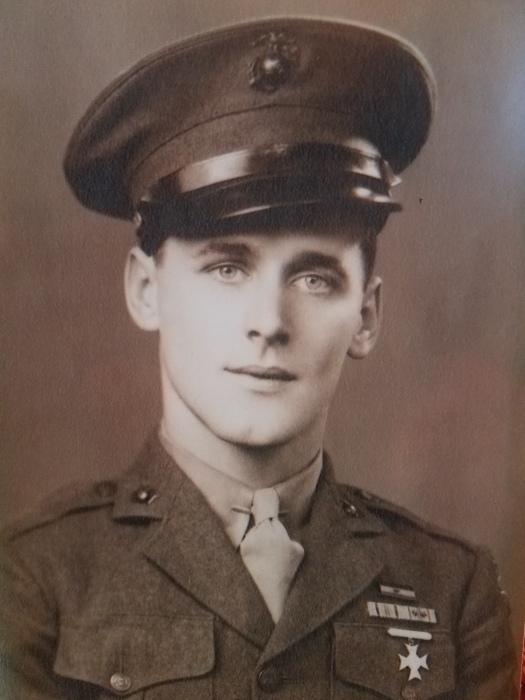 He honorably served in the United States Marine Corp from August 1942 until November 1945 as Staff Sergeant serving in World War II Pacific Theater. After his service, and through his high school best friend Bud Batchelder, he met Marjorie. On September 13, 1947 he was united in marriage to Marjorie Batchelder in West Allis WI. Wally worked as a Building Inspector for the City of West Allis for many years. He was a member and past president of the West Allis Lodge #291 Free and Accepted Masons, a member of the Milwaukee Chapter of Tripoli Shrine, and participated in the West Allis Jaycees. He was the co-founder of the bowling league for West Allis municipal workers, serving for a number of years as league secretary. Besides bowling, Wally also loved golfing, family vacations to Eagle River and Door County, and the Green Bay Packers. He played softball for many years and then played in the senior league in West Allis. Family was the most important part of his life, especially the holidays, summer picnics, and gatherings with relatives and friends. He will be missed by all who knew him. Those Wally leaves behind to cherish his memory include his loving wife of 71 years, Marjorie Kobs; two children, William “Bill” (Karen) Kobs and Christine “Chris” Zvara and Mike Miller; three grandchildren, Kati (Gregg) Oettinger, Ryan (Amanda) Kobs, and Steven (Peter Cummings) Kobs; five great grandchildren, Alexis Oettinger and Paige Oettinger, Addison Kobs, Matthew Kobs, and Owen Kobs; a brother-in-law, Robert (Beverly) Batchelder; a sister-in-law, Nita Batchelder; many nieces, nephews, other relatives and friends. In addition to his parents, he is preceded in death by his five sisters, Grace (Dom) Valesano, Lucille (Gene) Murray, Irene (Al) Laux, Marion (Howard) McDonald, and Alice (Adolph) Roemer and his brother, Ralph Kobs. A funeral service in remembrance of Wally will be held on Saturday, March 30, 2019 at 12:00 p.m. at the Myrhum Patten Miller & Kietzer Funeral Home, 1315 W. Washington St., West Bend. The family will greet relatives and friends at the funeral home on Saturday from 11:00 a.m. until the time of service. The family would like to thank the nurses and staff at Cedar Community and Cedar Community Hospice for all their help and care.